So just in case you didn’t know – the lyrics sung by Paul Westerberg of the Minneapolis band the Replacements delve deeply into the theme of yearning. Now, maybe not as popular as the feelings “hungry,” “envy” or even “love,” this was a still a feeling many kids across the United States were feeling in the 1980s. 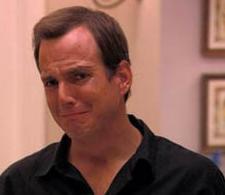 And I’d bet that even GOB Bluth at some point in his life has yearned for something too….probably.